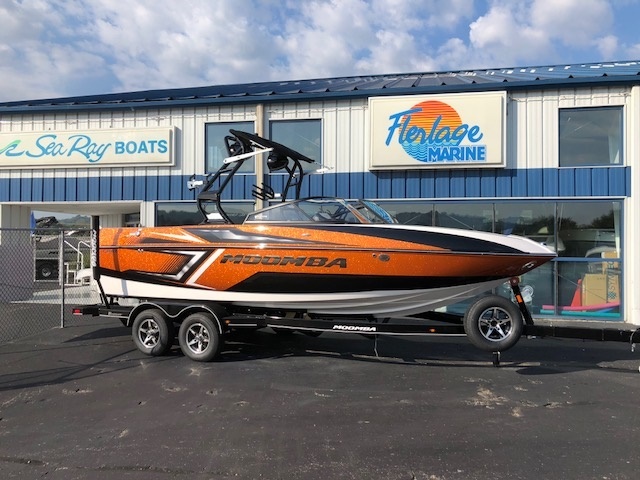 Very sporty orange metal flake gelcoat and black chrome 2019 Moomba Craz powered by Indmar Ford Raptor 400 6.2L VDrive loaded with options. 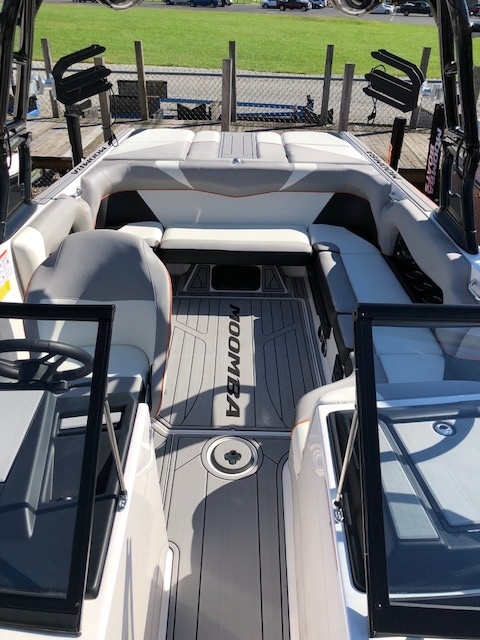 Includes Autowake 3, Flow 2.0 Surf System, G6 ballast system upgrade, Premium A3 tower with bimini, fixed wakeboard racks with quick release swivel, surf pipe exhaust upgrade, GPS cruise with display, stereo with transom audio remote, bow speakers with sub/amp, tower speakers, bow filler cushion, nonskid Gatorstep, docking lights, dual battery setup with charger, heater, tandem axle trailer with spare tire, guide pole covers, and swing away tongue and much more. Located in Cincinnati. All trades considered. 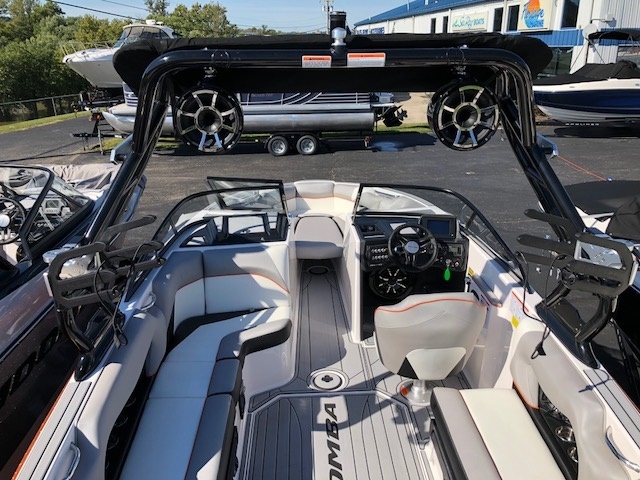 The 2019 Craz’s classic style and modern wake performance does everything well, and fits in perfectly at the center of your on-the-water lifestyle and features a new dash with a 7” touchscreen display. Length: 22 ft. 0 in. Overall Length w/ Platform: 24 ft. Overall Length w/ Trailer: 26 ft. 2 in. Overall Width w/ Trailer: 102 in. Height of Tower Folded on trailer: 94 in. Height of Tower in Up Position on trailer: 123 in. 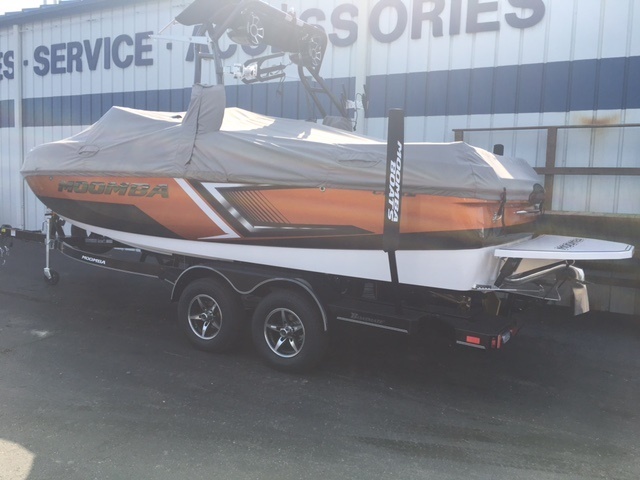 Weight - Boat and Trailer: 5,400 lb. 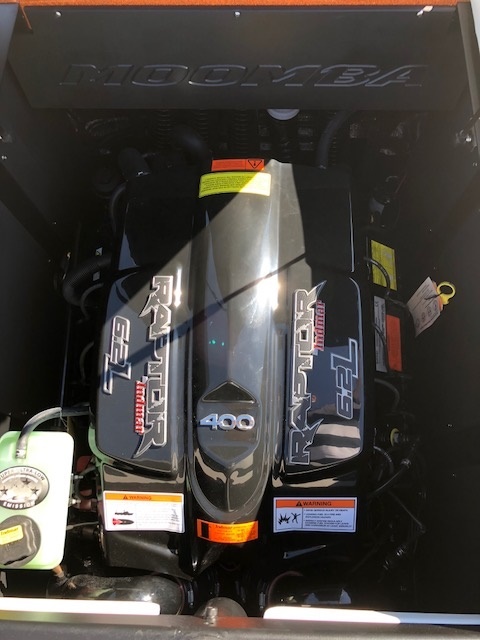 Capacity - Weight: 2,400 lb. 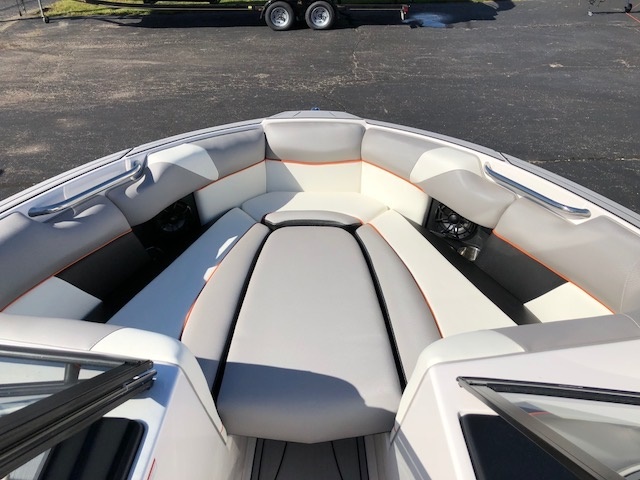 Skier’s Choice reserves the right to change model line specifications, equipment, color schemes and pricing at any time without notice or incurring obligations. 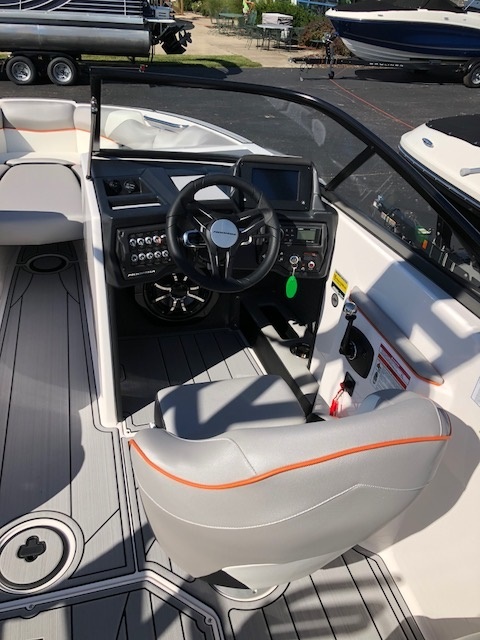 It is the Dealer’s responsibility to adhere to all State and Local regulations and laws governing minimum requirements needed on each boat, such as trailer brakes, kill switches, and other safety equipment.